August 1st kicked off both World Breastfeeding Week (August 1-7) AND National Breastfeeding Month. All month long, people around the world are celebrating the amazing benefits of breastfeeding, while continuing the fight to ensure women have the support they need to breastfeed. The evidence is clear – breastfeeding saves lives by protecting babies from life-threatening infections and illnesses. If babies were breastfed early and exclusively for the first 6 months, over 820,000 lives could be saved each year! A world in which women receive support to breastfeed is a world in which women and children thrive. Enabling women to breastfeed for as long as they desire would result in less illness and disease, as breastfeeding plays a key protective role for infant health. Fewer children would die from diarrhea and pneumonia – two of the leading causes of child mortality globally – as well as Sudden Infant Death Syndrome (SIDS)—a leading cause of infant mortality in the U.S.
And it’s not just babies who benefit from breastfeeding. When a mother breastfeeds, she reduces her risk of developing ovarian cancer, breast cancer and heart disease. Even with all these benefits, there is still a troubling lack of support for breastfeeding women around the world. NO country (including the United States) offers moms the support they need to reach their breastfeeding goals. This year, let’s commit to creating a world where every mom has the support she needs to breastfeed. 1,000 Days is the leading organization fighting in the U.S. and around the world to improve nutrition for women and their babies during the critical window from pregnancy through age two. We hope you will join us to take a stand to create a world where every mom who wants to breastfeed receives the support she needs. Pledge your support for women to breastfeed anytime, anywhere. 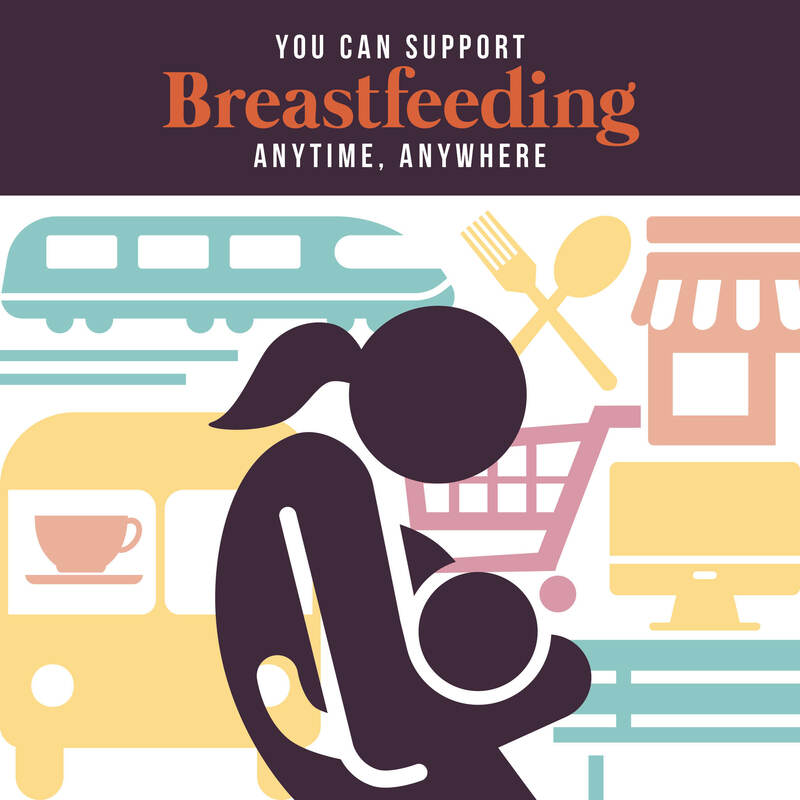 Add an “I Support Breastfeeding” Frame to your Facebook Profile. Follow 1,000 Days on Facebook and Twitter to help spread the word. No one breastfeeds alone – and we ALL have a role to play in supporting breastfeeding. Thank you for joining us this month to support moms and babies everywhere to have a healthy first 1,000 days. P.S. Interested in learning more? Check out our Inspiration Guide with key facts, stats and graphics that illustrate the benefits of breastfeeding. Allyson is the Digital Content Associate at 1,000 Days where she uses her creative skills to develop content for a range of campaigns. Before joining 1,000 Days, Allyson worked in communications for the publishing industry. Allyson has a Master’s Degree in Media and Public Affairs from The George Washington University and a Bachelor’s Degree in History from Lake Forest College. She is passionate about mission driven organizations that connect people across the world.